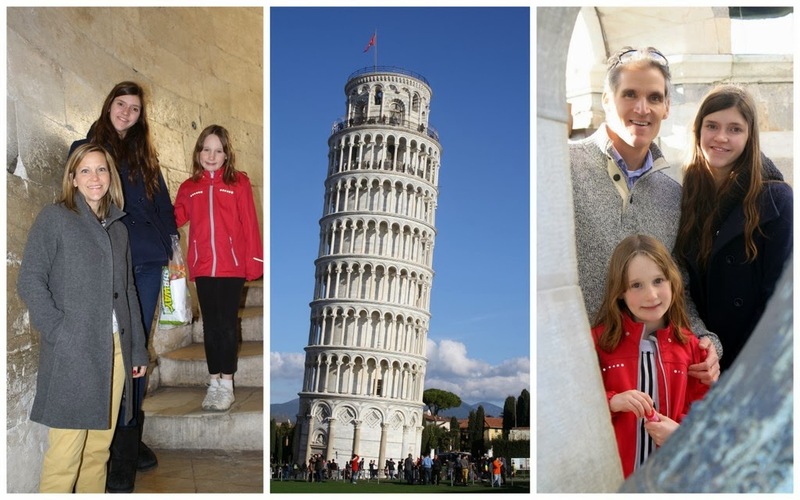 Pisa was not high on my list of places to go, perhaps because it is so cliche and over run with tourists; but honestly, I am glad we went -- it was a hit with my daughters! Begun in the 12th century, the tower began to lean almost immediately, perhaps that is why the name of the architect is still unknown. Efforts to correct the lean or better yet, to keep it from toppling over, have been many. The most recent corrections include counterweights, cables, underground stabilization and fancy devices I don't understand. The end result was a correction in the lean of about 1/2 degree. Our guide told us the building was secure at this angle for 200 years. All science aside, it is really cool to see in person and even cooler to climb! Hours: Hours vary depending on season, winter hours being the shortest. Best to visit the website here. Cost: Entrance into the Cathedral is free, but everything else requires a ticket. Tower costs €18/person and there is no family/age discount. Parking: There are several pay parking lots in the immediate vicinity. We parked on the street just outside the wall of the Field of Miracles. Don't worry about the vendors trolling the streets. One approached us offering to help us use the parking meter. If you know what you are doing, wave them off, otherwise, tip the guy a euro and let him help you with the meter. Tip: Children under 8 not allowed to climb the tower. Teens must be accompanied by an adult. Tickets for the tower can be purchased online 12-20 days in advance. Backpacks are not allowed in the tower! Stow them in your car or in a locker onsite. Cameras are allowed. It was the strangest sensation to walk into the tower. We were the last in the group and sort of dashed in and immediately could feel the lean in the uneven flooring. You can tell which side the tower is leaning by the ware in the stairs. 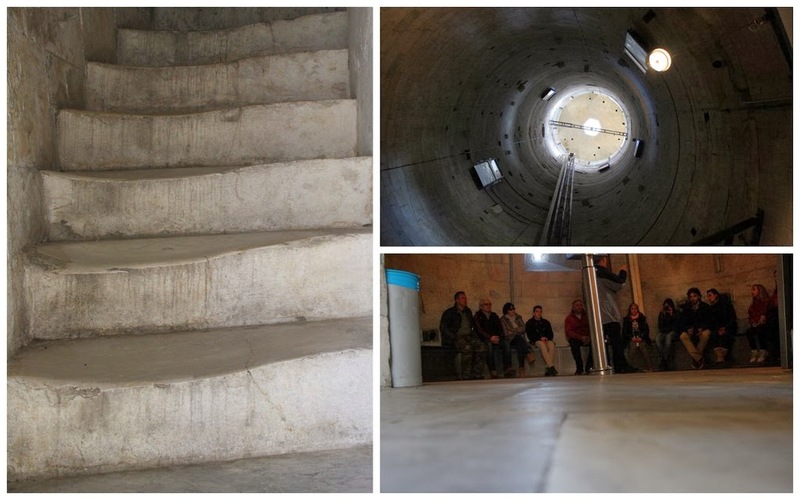 Top right photo is looking upward from the base. I was surprised (and then not surprised) at how plain and undecorated it is. That high tech metal pole in the bottom right picture stands in the center of the room monitoring the lean of the tower. Once in the tower, you've only got about 30 minutes, so you probably don't want to dilly dally stopping to take pictures at every window, like I did. The best views are from the top, anyways. The nice thing about the timed entrance is that tower is never too crowded; only 30 guests are allowed in at a time, so you are able to photograph the sites without others standing in your view. We had no problem getting tickets, but they are timed so if you are short of time it would be smart to purchase tickets in advance. We had to wait about an hour and a half for our tour, but there is plenty to keep you occupied. 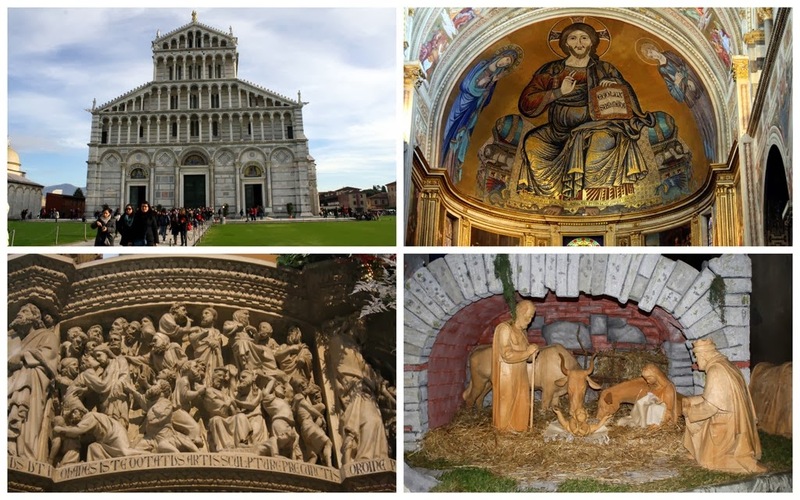 The Duomo or cathedral is a beautiful example of Romanesque architecture. Italian churches have a unique style not found in the rest of Europe. The colored stone work facades and striped columns catch many off guard, but I love it! Even my husband was impressed with the interior. 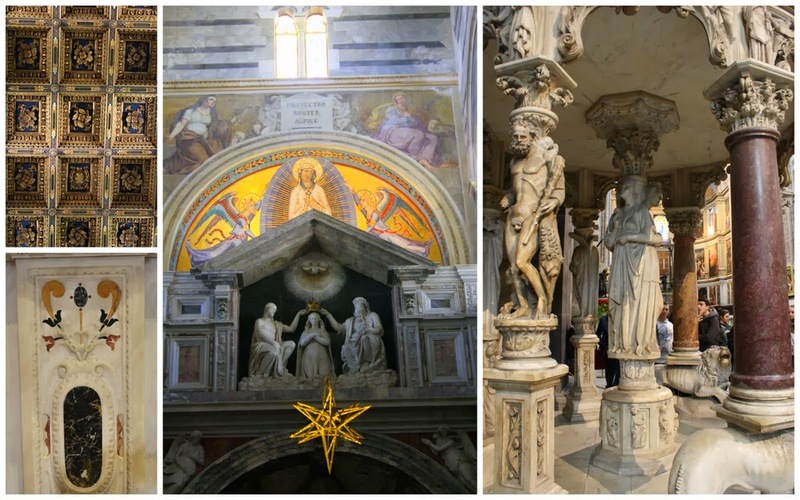 The coffered ceilings are incredible, but perhaps most note worthy is the pulpit carved from marble by Giovanni Pisano in 1302. Scenes from the New Testament adorn the circular band around the top. Can do tell what is happening in the scene I photographed? 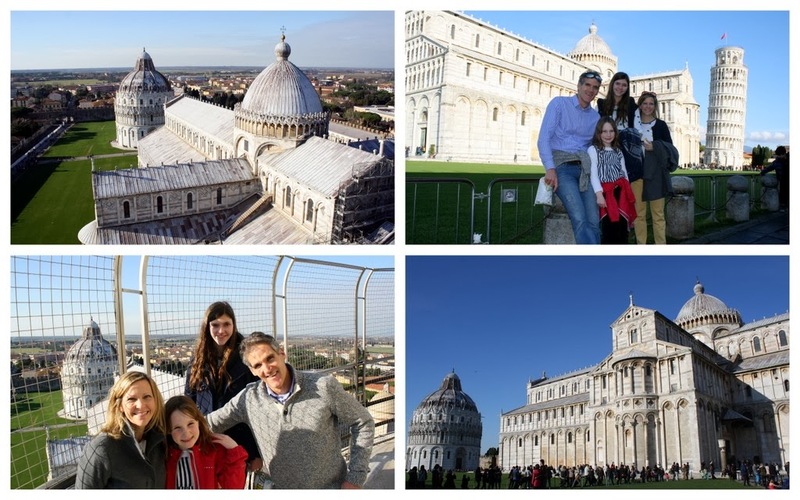 There is more to the town of Pisa than just its famous leaning tower, but like so many before us, once we snapped our photos and climbed the tower we left heading north to the town of Lucca.